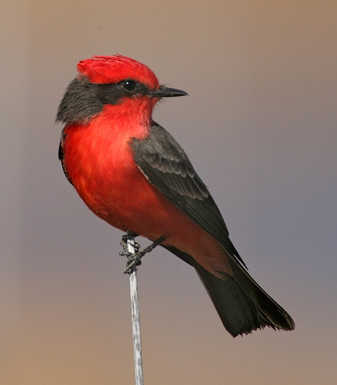 Tucson is such a good home to birds that we support the most comprehensive urban bird count in the world. This urban diversity makes any local residence a premier location for a birding sanctuary. Tucson’s bird diversity comes about because of our unique range of elevations and mild seasons. There are the Sky Island mountains that link the Rockies to Mexico’s Sierra Madre. We also have influences from Sonoran, Mojave, and Chihuahuan deserts, migratory flyways, and tropical areas south of the border. Tucson is such a good home to birds that we support the most comprehensive urban bird count in the world. At Zona Fountains we strive to bring environmentally safe products that you can count on not to disturb your most important focal point, your fountain. This season we’ve brought in one-of-a-kind products not available from most other Tucson retailers. Please browse our updated Garden Decor section where you can find many of our new bird feeders. This entry was posted in Zona Fountains News and tagged Alex Hinrichsen, ARHINRICHSEN, Arizona, bird bath, bird baths, birding, birds, buntings, cactus wren, cardinal, cardinals, curved billed thrasher, fountain, fountains, northern cardinal, Southern Arizona, warblers, Zona, Zona Fountains. Bookmark the permalink.